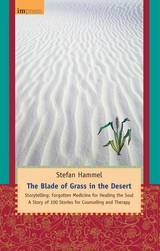 Stefan Hammel is the author of several books and other media about therapeutic storytelling, including "Handbook of Therapeutic Storytelling" and "The Blade of Grass in the Desert" in English. The shown products are available in Stefan Hammel's Shop. New Release 2018: "Handbook of Therapeutic Storytelling"
"The Blade of Grass in the Desert"
"Sous le signe de la relation"
Here is a short overview of his publications. 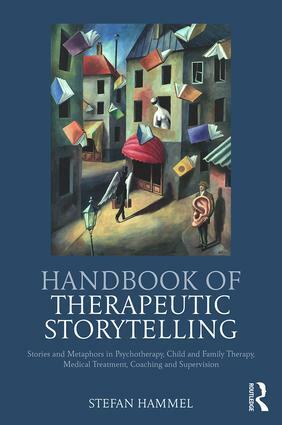 Handbook of Therapeutic Storytelling. Impress, Routledge (Taylor & Francis) 2018, London. 306 pages, ISBN-13: 978-1782205562, ISBN-10: 178220556X. 34,50 Euro / 39,95 $. Paper book available at amazon.com or from online shop. The Blade of Grass in the Desert. Storytelling: Forgotten Medicine for Healing the Soul. A Story of 100 Stories for Counseling and Therapy. Impress, Nierstein 2012. 23 illustrations, 168 pages. ISBN 3-9809771-6-1. 17,80 Euro. Paper book available at amazon.com or from online shop. E-Book available via amazon.com, amazon.co.uk or online shop. 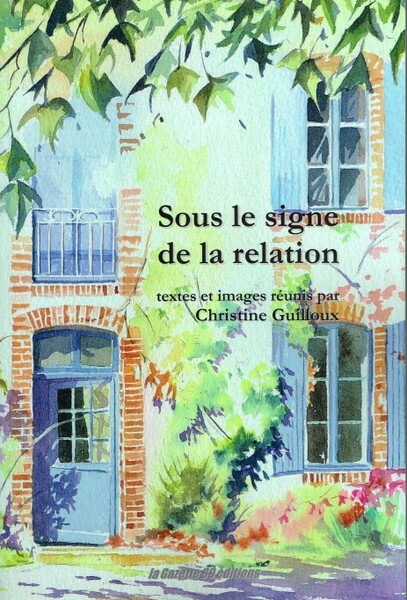 Sous le signe de la relation. Christine Guilloux (Ed. ): 2018, Égriselles-le Bocage, la Gazette89 éditions, 225 pages. Contenu: Pp. 137-142: Stefan Hammel: "Les histoires peuvent changer la vie. Redécouvrir des anciens chemins de sagesse pour trouver le nôtre"
Der Grashalm in der Wüste. 100 Geschichten aus Beratung, Therapie und Seelsorge. 177 pages, 17,80 Euro, ISBN 3-9809771-5-3. Original version of "The Blade of Grass in the Desert". German information is given here, the German book is available via Amazon and direct from the shop here. It is also available as an E-Book. Der Grashalm in der Wüste. Die Taggeschichten, German audio-book (CD) of "The Blade of Grass in the Desert" (together with Jan Masuhr, Guitar): 12,00 Euro. Samples for listening here. Die Insel der Liebe. The Island of Love. Map for couple therapy, Therapeutic Game, 52,00 Euro, available from the the editing company kikt-TheMa oder from the shop. Loslassen und Neues ins Leben lassen. Wegweisende Geschichten. Kreuz, Freiburg Januar 2013 ("Letting Go and Embracing the New. Stories showing the Paths"),160 S., ISBN 978-3-451-61132-2. Therapie zwischen den Zeilen. Das ungesagt Gesagte in Psychotherapie, Beratung und Heilkunde. Klett-Cotta, Stuttgart 2014, 317 S., 32,95 € in Deutschland, ISBN 978-3-608-89153-9. Das Stühlespiel. Eine neue, radikal wirksame psychotherapeutische Methode. Das Buch hat 206 Seiten und zahlreiche Illustrationen zur psychotherapeutischen Methodik. Der Preis beträgt in Deutschland 24,99 €. ISBN: 978-3-451-61259-6. Einen "Blick ins Buch" (Blättern im Text) gibt es hier. Das Buch kann außerdem beim Kreuz-Verlag oder im Online Shop bestellt werden. Wie das Krokodil zum Fliegen kam. 120 Geschichten, die das Leben verändern. (Gemeinsam mit K. Lamprecht, A. Hürzeler, M. Niedermann). Reinhardt, München 2015. Ca. 260 S., 14,90 € in Deutschland, ISBN 978-3-497-02506-0.